This music comes from 31-year-old Vijay Gupta, a violinist for the Los Angeles Philharmonic. His life's work has been to make music accessible to all. This passion has caught the attention of others. 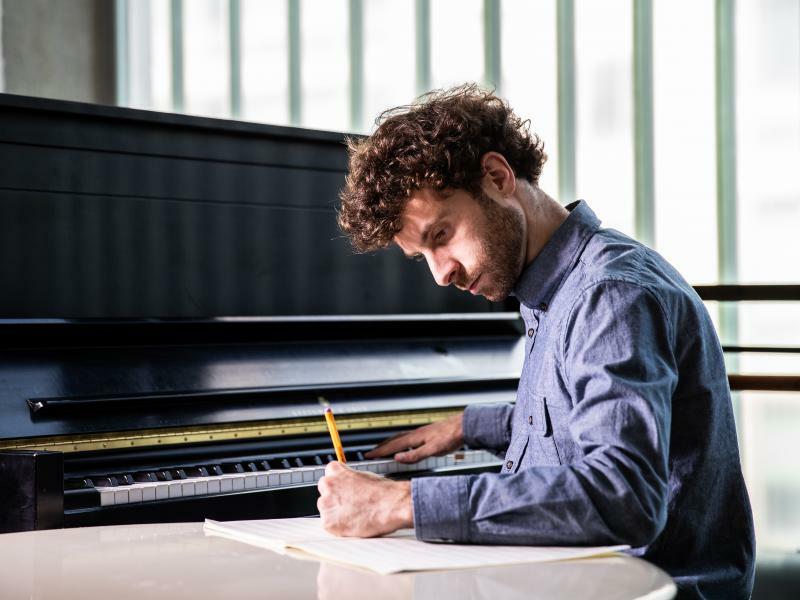 This year, he was awarded a MacArthur Foundation Fellowship, also known as the Genius Grant. He's the founder of Street Symphony, a group of musicians which performs in shelters, clinics and jails. And he taught Nathaniel Ayers, a homeless, mentally ill musician living on Skid Row on whom the movie "The Soloist" was based, to play violin. And with us in Culver City now at NPR studios is Vijay Gupta. Welcome. VIJAY GUPTA: Thank you. Thanks so much for having me. GARCIA-NAVARRO: You are a world-class violinist, as we heard there. But you are equally a teacher and a preacher of music. You play in concert halls and on downtrodden streets. How did that happen? GUPTA: I grew up in an immigrant family. My parents were immigrants from West Bengal in India. And their journey to the United States was not like that of what you would call a typical, quote, unquote, "model minority." My mom was married to my dad when she was 17. My dad was 23. And when he came here, he was actually undocumented. And he worked in kitchens and worked baggage claim at JFK. And somehow, music was their refuge. Music was always playing in the house I grew up in. So it was devotional Hindu spiritual music or Bengali folk music. And music was that place of respite. But it was also a place of service. And I also grew up with this aphorism that if you want to worship God, you serve people. And so when I came to Los Angeles, I was 19. I was very lucky to have won the first orchestral audition I ever took in my life, which was for the LA Philharmonic. And then I saw Skid Row for the first time. And I was overwhelmed with this community of people in walking distance of one of the greatest concert halls in the world that ranges between 10,000 to 15,000 individuals on any given night who experience chronic homelessness, many of whom are poor people of color, many of whom have a diagnosed form of mental illness. And that's the time where I met Nathaniel. And I should mention that there was already an ongoing relationship with Nathaniel and a few members of the LA Philharmonic. And that's kind of how I joined that family of people. And very early on, it became clear that Nathaniel deserved to be on any concert hall stage in the world. But because he had a mental illness, because he was homeless and undoubtedly because he was black - he was a man, despite his talent, who had lived in the 2nd Street tunnel in downtown LA for 20 years. GARCIA-NAVARRO: That's an extraordinary story. In 2010, you co-founded Street Symphony. What was the idea behind that? I mean, it wasn't just about Nathaniel. GUPTA: It was about meeting the other Nathaniel's out there. And very early on, when I joined the LA Philharmonic, the orchestra became family to me. You know, they adopted me as a 19-year-old boy. You know, they would invite me to their homes. And we would read chamber music like proper music geeks and, you know, eat some great food and drink wine. And I thought, wow. Well, what would it be like to take that same joy and love of playing chamber music to an audience who would never have access to hear us in a concert hall? So I started reaching out to clinics in shelters anywhere that would have us - VAs, hospitals, eventually county jails. And we sort of presented these concerts as your typical outreach concert where we just sort of play two movements of Beethoven and a couple of Christmas carols and kind of, like, wipe our hands clean and have done our good charity work for the year as musicians. And yet it was our audiences in these spaces who would raise their hands and say, well, what was the composer feeling when they wrote that? Because I heard this. And so this was actually one of the most astute and empathic and engaged audiences we've ever encountered in our lives. So in a very real sense, it was our audiences that started to reflect a mirror back to us to say, why are you really here? GARCIA-NAVARRO: Listening to you speak, it seems that not only work with Street Symphony but your work as a musician is about - is an act of devotion, almost. Is that what it feels like? GUPTA: That's very much of value I grew up with. But at the same time I grew up in a household that happened to be sort of surrounded with various kinds of trauma and abuse. GARCIA-NAVARRO: When India and Pakistan were separated. GUPTA: ...Were separated. And, you know, my parents never talked about this. But that was an incredibly traumatic time for my grandparents and great grandparents where they lost ancestral home. And somehow that pressure and that trauma falls upon the firstborn son, as I am, in the new country to fix and correct all of the wounds of my family. And that manifested as physical and verbal and psychological abuse upon me and my brother very often. Music and the violin was literally a refuge for me. Whereas a very little boy - I would spend five or six seven hours a day practicing. But I would memorize my music very quickly. And so I actually had this system where I would read "Harry Potter" on my music stand because I had already memorized my Mozart or Tchaikovsky concerto. GARCIA-NAVARRO: How old were you? GUPTA: Well, let's see. I was the same age as Harry as every one of the books came out. GUPTA: So I was, you know, between 11 and 15, you know? It was an elaborate system. But when I got caught - oh, man - there were consequences. GARCIA-NAVARRO: As I mentioned you were just awarded the MacArthur Fellowship. Congratulations. GARCIA-NAVARRO: That's a big thing. GARCIA-NAVARRO: What was your reaction when you got the call? And what do you want to do with with this accolade? GUPTA: I was like, what are you talking about? I'm still reeling. I'm still trying to figure out what's happening. But it is such an investment of trust. What I feel, especially with the nomination process being secret and having happened for quite a few years, that there must have been so many people who believed in me and supported me. And it brings tears to my eyes because they must have believed in me when I didn't believe in myself. And so the really hard work now begins of actually believing in myself (laughter) and being radically honest about ways in which I have always wanted to grow and evolve but didn't have the space to do so. I get to choose for the first time how I want to be in the world. 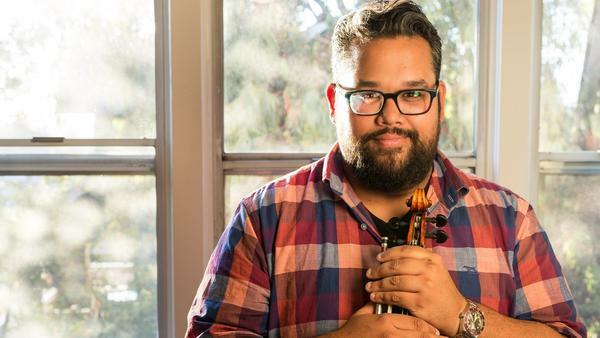 GARCIA-NAVARRO: LA Philharmonic violinist Vijay Gupta, one of this year's recipients of the MacArthur Foundation Fellowships - also known as the Genius Grants. Thank you so much.